Why Human Rights Reports on Bahrain are Negative? Recent annual reports by Human Rights Watch (HRW), Freedom House (FH), Reporters without Boarders (RWB) and Front Line (FL) presented a negative picture of the condition of human rights in Bahrain. According to HRW’s January 2010 annual report, human rights conditions deteriorated sharply in the second half of 2010. Except for the procedural protection of migrant workers, nothing positive was mentioned about Bahrain. Even the 2010 October council and parliamentary elections were not given much attention. In its annual report, FH said that the reasons behind the setback in Bahrain’s human rights record, is the continued political repression against human rights activists and journalists, in addition to the spread of torture. 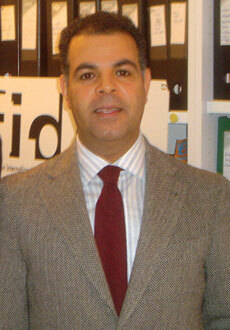 Moreover, in January 2010, RWB expressed concern regarding freedom of expression in Bahrain. Firstly- Government’s mistakes, which could have been avoided easily and were highlighted by international bodies. The mistakes relate to the extensive use of security measures in August 2010, and the vigorous implementation of some laws, which were described as unsuitable for Bahrain’s political and human right development. Government’s mistakes also include: dissolving the Bahrain Human Rights Society (BHRS), closing websites belonging to political societies, and prohibiting the publications of political parties. These measures were used as evidence against the Government and resulted in the negative image of Bahrain in most of the international human rights reports. The advocates of violence could have been dealt with in a different manner and without the use of the security measures. For example, the Government could have delayed resorting to these measures until new laws were passed, which regulate both the work of civil society organizations and the press. There is also a lack of communication between the Government and international human rights organizations. Although, the relations between the two have developed in recent years, it is not yet enough. There are still issues that need resolving and there are still many more organizations that are ready to cooperate with the Government. The Government still delays and fails to respond to the questions raised by the international human rights organizations, which resulted in one sided reports. Perhaps, due to this reason, the Prime Minister and the Crown Prince requested that officials should respond to foreign media and international organizations, and provide them with information and the official position. Secondly - Mistakes made by international human rights organizations. Most of these organizations transmit information, which is mostly derived from one source, the Bahrain Centre for Human Rights (BCHR). They also rely on distorted information and repeat the analysis of others. ■ There is extensive sectarian based repression. But the arrests were actually based on security grounds, which include rioting, blocking roads and endangering public and private interests. ■ The arrests were directed at activists who were performing their legitimate and peaceful activity, this was not the case. Those who were detained - as far as we know – were not arrested for their political activities but for their involvement in inciting violence. The vast majority of the detainees were not referred to as human rights activists, but became activists after their detention! This is because the BCHR considers every detainee to be a human rights activist!! ■ Prisoners of conscience exist, including a number of journalists. The reality of the matter is that no journalist was detained. ■ With regards to torture, FH report based its information on this subject from HRW report which had many mistakes and was criticized in the local press. This does not mean that torture allegations should not be investigated. We greatly appreciate any effort that might contribute to the expansion of public freedoms in Bahrain. But we would like to emphasize the importance of accuracy, objectivity and professionalism. These elements are required in any third world human right organizations let alone international human rights organizations that have a greater global effect. Failing to follow the developments in Bahrain, verify information, and adopt a scientific approach in research, are the main reasons behind the negative portrayal of Bahrain. Thirdly- The mistakes made by Bahrain human rights organizations, which can be divided into two groups. The first group spreads lies, politicizes human rights and presents inaccurate information and analysis. The second group does not do that but at the same time does not contribute to improving the human rights situation by providing accurate information to international human rights organizations. The BCHR is primarily responsible for providing incorrect information and inaccurate analysis. International organizations do not hide the fact that they directly depend on the BCHR for their information. Unfortunately, the BCHR mixes between violence and human rights activities, and between human rights objectives and political agendas. We would like to stress that over relying on the BCHR as the only source of information, has resulted in international human rights organizations taking up positions based on exaggerated and inaccurate information. Another example of mistakes made by Bahraini human rights organizations relates to Mohammad Ali Al- Rashid, who was detained in October 2010 because of emails sent under his name that threatened some Bahraini journalists. Al Rashid was treated as a victim and the journalists were ignored. Ironically, those who reported him to the police were referred to as collaborators standing against public freedoms, human rights and journalists! On 21 January 2011, the BCHR issued a statement saying that the Bahraini authorities had arrested Al- Rashid “in retribution over his open opinions” and because he practiced his legitimate right to express his opinion by publishing human rights violations. Hence, he became a human rights activist! The BCHR regarded the arrest as an act of oppression that targets public freedoms. On 24 January 2011, RWB issued a statement adopting the position of the BCHR, in which it expressed deep concern regarding freedom of expression, and demanded that all charges filed against Rashid be dropped. Rashid was released on bail on 4 of January 2011 and is now awaiting trial. FH also issued a statement based on BCHR’s information under the heading “continued political repression in Bahrain”. It elaborated further on the case and according to FH Rashid became a blogger, political and human rights activist. The first sentence of its statement reads “according to human rights activists in Bahrain”, and based on our knowledge no human rights body in Bahrain issued a statement on this matter except the BCHR. FH claims that Rashid’s charges include “online writings about human rights abuses, spreading statements of political opposition movements, and criticizing journalists who are close to authorities”. Did FH verify this information? The statement continues by saying “Censorship and repression are common features in Bahrain, an authoritarian country ruled by the Sunni Al-Khalifa family, which has been at odds with the country’s Shiite majority for more than two centuries”. These international organizations which we greatly respect, did not examine the case thoroughly, nor did they verify their information on the reason behind the arrest. They also did not follow local newspaper coverage, which published examples of Rashid’s threatening emails. The BHRM respects all human rights organizations, and hopes that the Bahraini authorities cooperate with them. We also hope that these organizations highlight the violations that take place in order to improve the human rights situation in the country. However, we do not want to see some of them being used as tools in a political game because of their good intention in receiving information and their reliance on bias information. Finally, it is noteworthy that the new National Institution for Human Rights (NIHR), in which I am a member, has failed to clarify the reasons behind the resignation of its former President Salman Kamaldeen on 6 September 2010. The recent HRW annual report saw this resignation as a protest against the failure of the NIHR to criticise the recent arrests. Similar analysis of the resignation was published in Bahraini newspapers. For me and my colleagues in NIHR, it is clear that the reasons behind Kamaldeen’s resignation were personal and involved pressure being exerted from his political society, Waad. It was wrong for NIHR not to comment on the resignation and it should have clarified the matter with the local and international media.